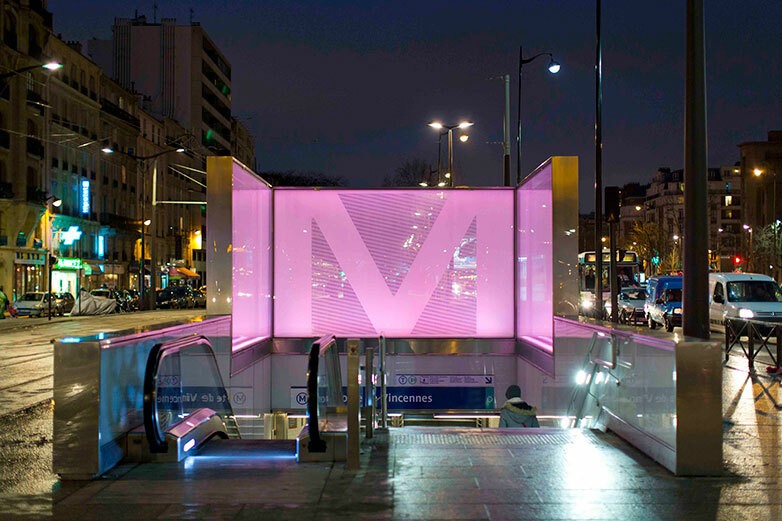 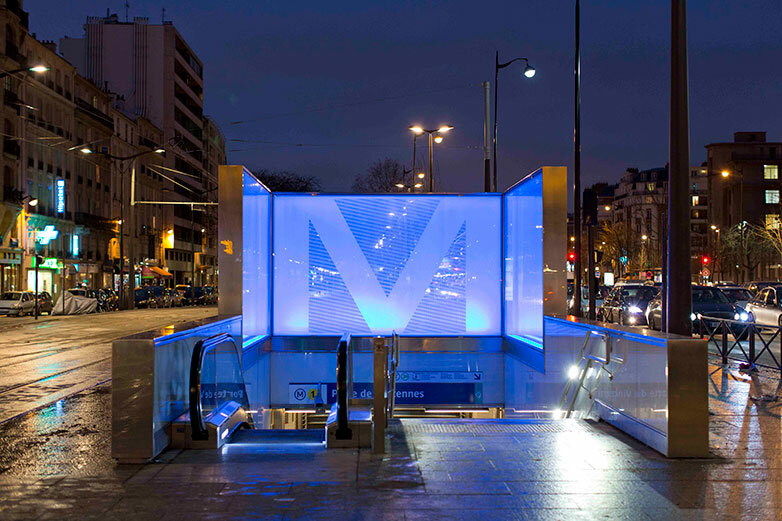 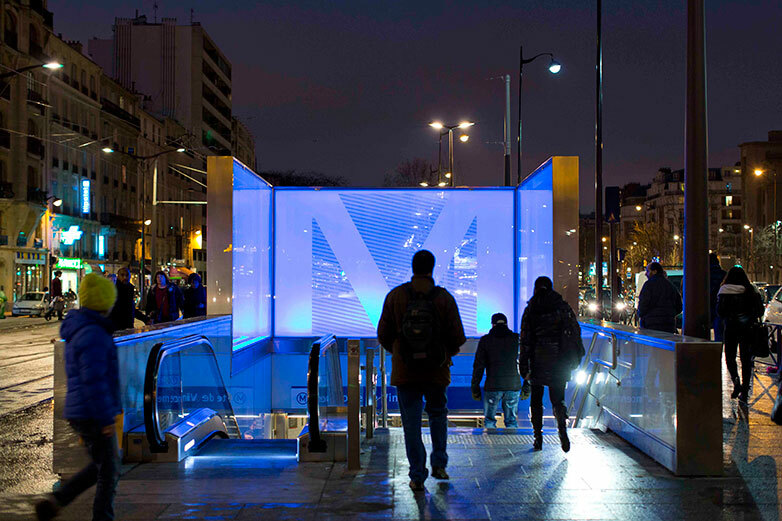 New interactive entrances and lighting scheme for the Paris Metro / T3 Tramway interchange at Porte de Vincennes, Paris. 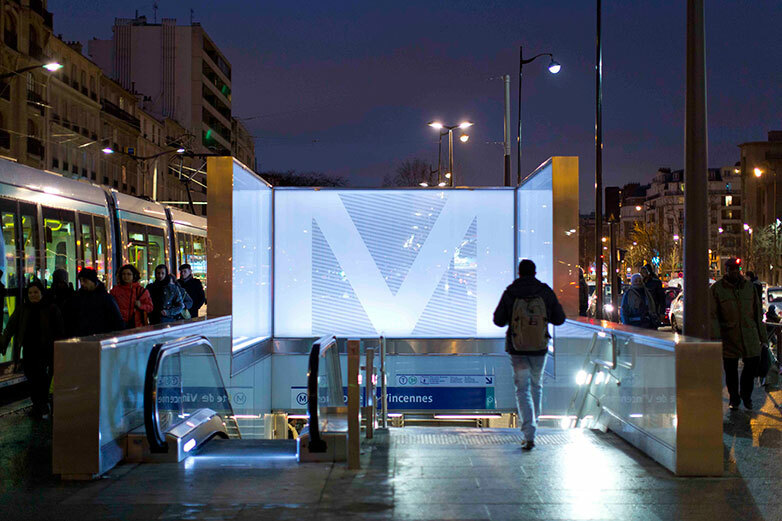 Fritted Optiwhite glass, stainless steel, intelligent LEDs and associated electronics. 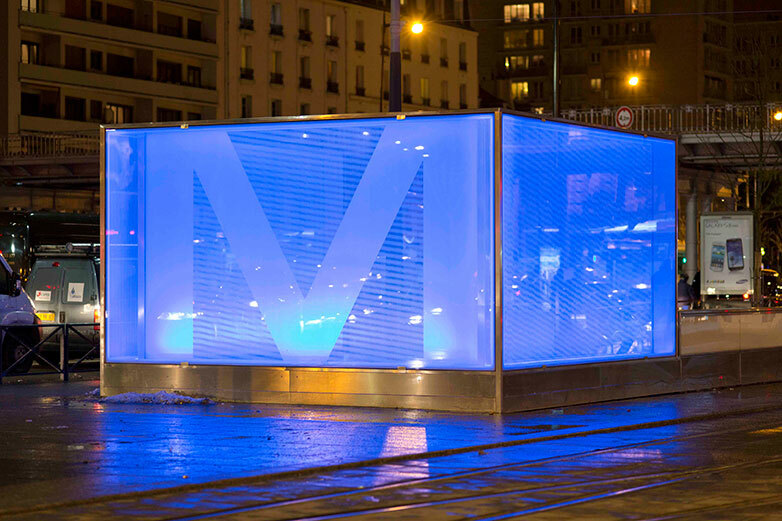 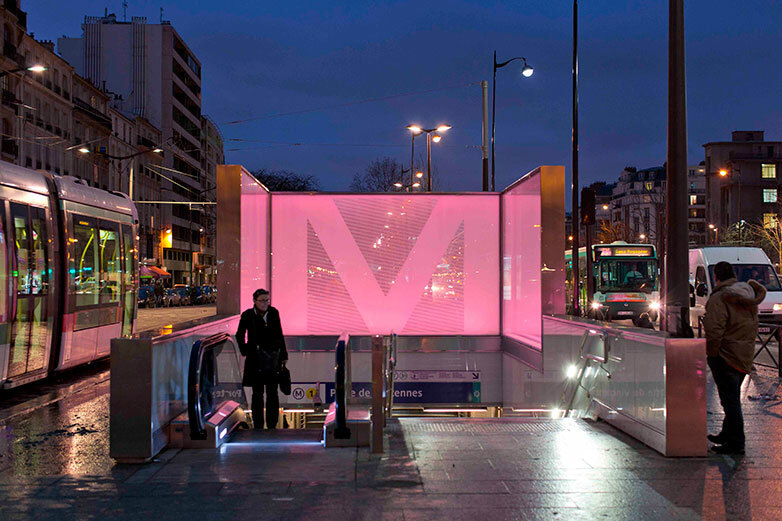 Two glass “cubes” forming the Metro entrances, together with the glass platform canopies for the T3 tram, are interactive, changing colour with the arrival and departure of the trams. 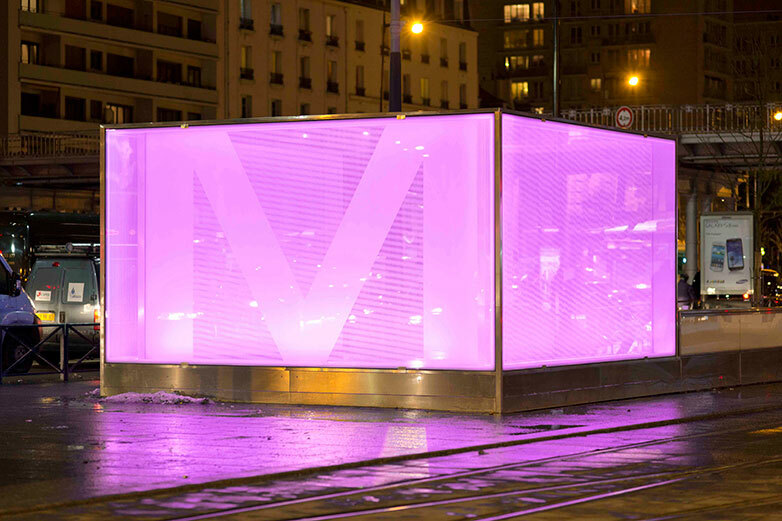 Designed by Langlands & Bell in association with Ar.Theme Associés and Xelis for the RATP and the Public Commission of the Tramway T3. 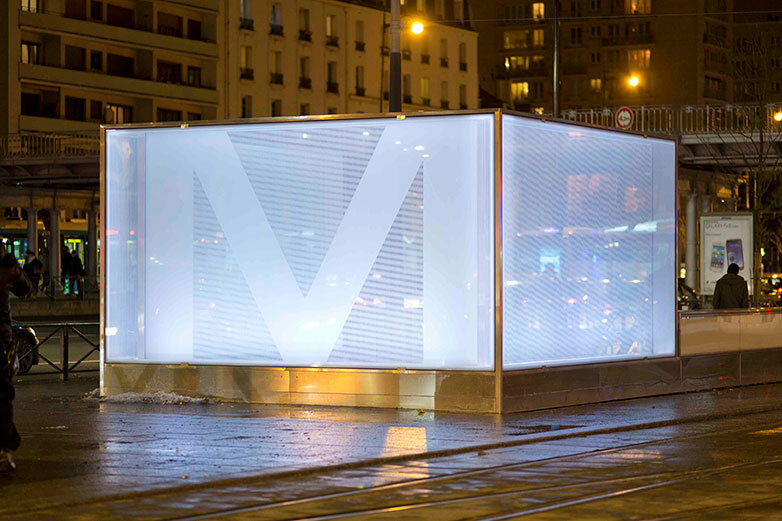 Curated by Christian Bernard, MAMCO, Geneva, and Nathalie Viot, Mairie de Paris.